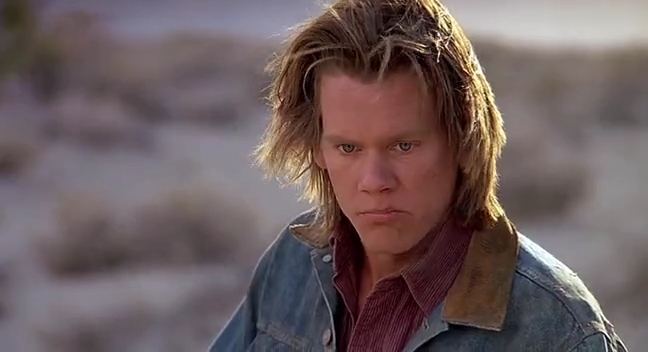 I watched early-nineties creature feature Tremors for the first time at the weekend, and apart from the occasional glance towards Kevin Bacon’s astonishing hair, I found myself unable to stop focusing on a relatively minor character: purple-jumper-wearing smart alec Melvin (his surname is never mentioned in the film itself, but the credits reveal it to be Plug). He’s clearly in the movie to provide comic relief, but given that his relationship to any of the other characters is never explained, and that he only has two minutes of action in the entire movie, his presence is still pretty mystifying. Nonetheless, he’s the best thing in it by a country mile. NO WAY! NO WAY MAN! 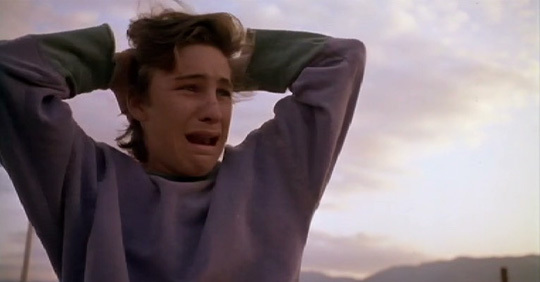 Weirdly, his scenes actually serve as quite a good microcosm of the film itself: at first he’s sceptical about everything, then he nearly gets eaten by a tremor (I don’t care what Wikipedia says, the creatures are called tremors), then he experiences the joy of survival, then the fear of uncertainty, then there’s a break for some brief weaponry hijinks before the final victory. Actor Robert Jayne (who was 17 when he played Melvin) looks like this now, and was last seen as ‘Bee #4’ in Bee Movie. He didn’t return for Tremors 2: Aftershocks, presumably because he had too much dignity to be involved with a straight-to-video sequel, but don’t worry because he’s present and correct in Tremors 3: Back to Perfection and the spin-off Tremors TV series. Melvin Plug, you’re my hero. Now where can I get that jumper?